It looks like the price started forming the fourth wave, which is talking the form of zigzag pattern with wave [A] being formed inside it. All these factors indicate that the corrective movement may continue during the next several days. More detailed wave markings are shown on the H1 chart, and we can see that wave [A] is taking the form of wedge pattern with the fourth wave being formed inside it. Wave (5) of [A] may start during the day. The range of the fifth wave here can’t be wider than that of the third one, because the third wave was smaller than the first one. 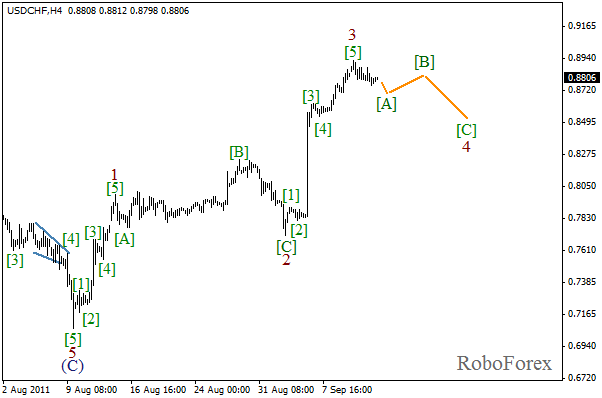 The current structure of the chart lets us suppose that the correcting descending movement may continue. It looks like wave (B) has been completed inside wave [Y]. If our supposition is correct, we can expect the start of wave (C) of [Y] in the near future. 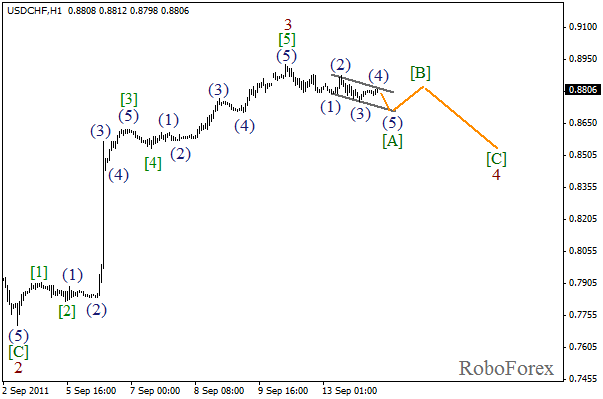 If we take a look at more detailed wave markings, which are shown on the H1 chart, we may conclude that wave (B) has been completed in the form of zigzag pattern. 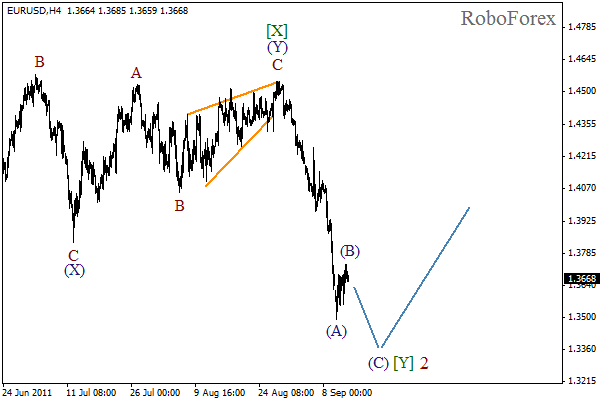 Wave C in this case is a diagonal triangle, which is in favor of bearish expectations. Most likely, wave (C) will start in the near future.